Students from Year 4 all the way up to Year 12 enthusiastically watched Jeff explain how to create a commercial quality 3D game from scratch. There was something to be learned by everyone whether they were an absolute beginner with no experience right up to seasoned Pro gamers looking for inspiration with the wealth of resources available. Jeff explained how to use the Unity 3D platform to easily make games. The only limitation being the imagination of the developer making the game. As Jeff mentioned, “Who would have thought that firing birds at pigs would be an idea that would work?”. 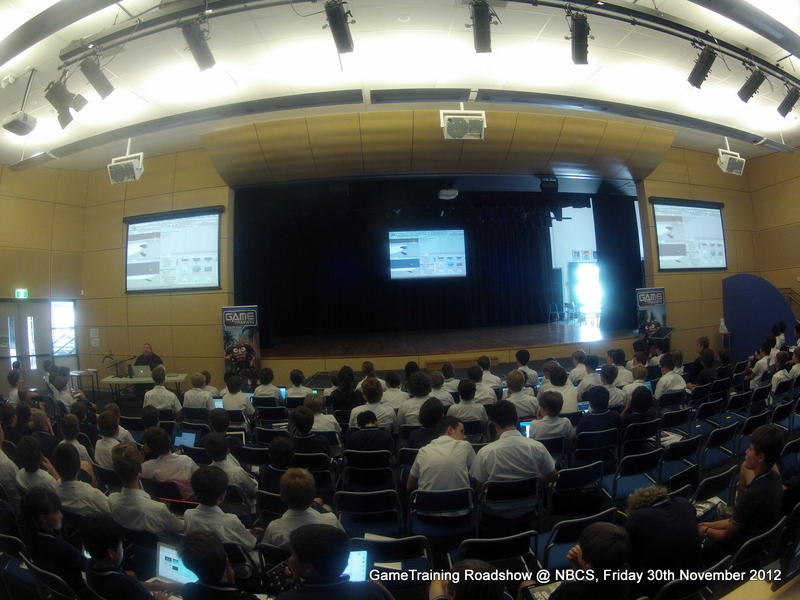 Students left the roadshow keen to explore their entrepreneurial skills by creating Software Development teams that would explore ways to make game games that could be available for purchase through app stores like iTunes.